Modern city dwellers are all too familiar with constant traffic jams and air pollution raising their stress levels and causing health problems. But one remote place in the Arctic has adopted a different approach to the concept of commuting. ­This is what it really means to put one’s shoulder to the wheel. Contrary to a popular opinion, huskies do not go on vacation once the snow melts. In fact, in the world's northernmost city, being dog-tired is a year-round phenomenon. Dog sledges were the only means of transportation around the archipelago until the mid-1960s. And while by now cars and snowmobiles have replaced them in many parts of the North, here in Spitsbergen huskies are still pulling their weight. Locals say it is not only more environmentally-friendly, but also safer – you cannot always rely on vehicles to deal with the cold, while dogs will never let you down. Like most of the residents of Norway’s Longyearbyen, Robert was not born here. He moved here in his mid 20s, fleeing big-city congestion in the hope of reconnecting with nature. He says hooking his jeep behind his barking team epitomizes the major change in his life. Plus it keeps the dogs fit. “These dogs are athletes; they need their exercise every day. 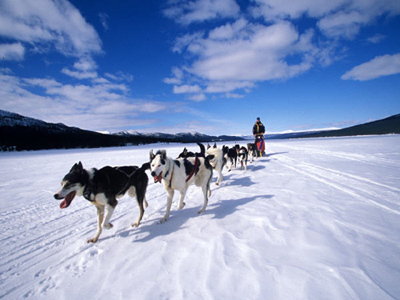 So in periods of less tourism, I try to give them some training with my car,” said Robert, a Husky trainer. With some 2,000 residents, Longyerbyen is little more than a wide place in the road. There may not be any traffic police, but the rules of the road are no less strict. The local authorities have already closed some of the archipelago's routes to motorized traffic, with more restrictions to come. The lobbying force behind the partial car ban is Berit Vatvik, also an avid dog-lover. She likens driving to smoking – invasive and damaging to the environment. If there are non-smoking areas, why should there not be non-driving areas, she wonders? 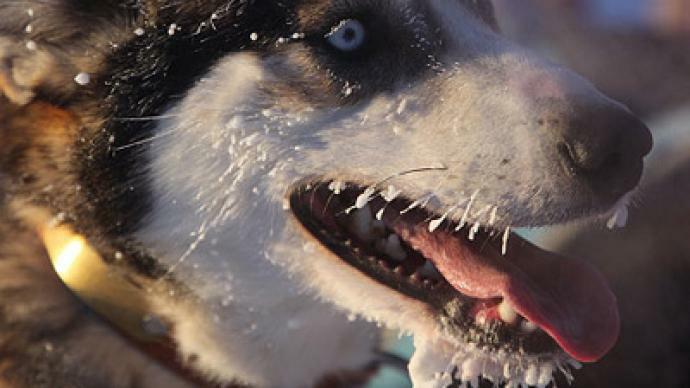 “Here in Svalbard and in many other places here in the north, dogs are the culture and we all need a silent room where we can live, we need to rest our brains,” Husky trainer Berit Vatvik told RT. As the archipelago tries to attract more tourists, some suggest that the car restrictions may have a commercial appeal. With people around the world reporting increasing traffic fatigue, many may be in need of a car-free refuge. Klim Kolosov, a Muscovite who endures hours-long commutes to work, says the absence of honking horns made him instantly fall in love with the place. “The most amazing thing I experienced here is the lack of traffic. In Moscow you can never see so few cars even on January 1st, when people are supposed to be resting. To ban cars in the favor of dogs is an absolutely great idea. And this will probably attract more and more tourists,” believes Russian traveler Klim Kolosov. Going to the dogs is obviously not an option for every city,but here huskies definitely do not like a fifth wheel.